Paperback, 5.25 x 6.75 in. / 546 pgs / 125 color / 130 bw. Edited with contributions by Dieter Roelstraete, Chiara Costa. Foreword by Miuccia Prada, Patrizio Bertelli. Text by Shumon Basar, Alec Finlay, Mark Riley. 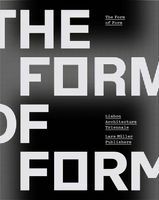 Contributions by Leonor Antunes, Alexander Kluge, Niccolò Gravina, Goshka Macuga, Mario Mainetti, Theodor Adorno, Martin Heidegger, Ludwig Wittgenstein, San Gerolamo. 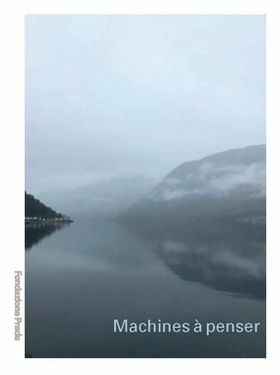 At the heart of Machines à penser lies an artistic encounter with three titans of 20th-century philosophy, each of whom experienced a place of retreat or exile as decisive for their work: Ludwig Wittgenstein, who built himself a hermitage in Norway; Martin Heidegger, who regularly retreated to a custom-built hut in the Black Forest; and Theodor Adorno, who was forced into exile in Los Angeles in the late 1930s. The titular "machines for thinking" are the modest dwellings with which these philosophers have become associated: a nondescript bungalow, a mountain hut and a peasant’s cabin. Here, works by Alec Finlay, Susan Philipsz, Mark Riley, Anselm Kiefer, Alexander Kluge, Goshka Macuga, Mark Manders, Ian Hamilton Finlay, Iñigo Manglano-Ovalle, Gerhard Richter and others are placed in dialogue with documentation and models of Wittgenstein, Heidegger and Adorno's respective dwellings. FORMAT: Pbk, 5.25 x 6.75 in. / 546 pgs / 125 color / 130 b&w.